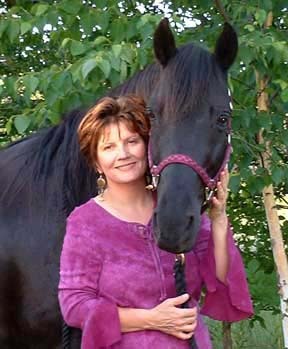 Wendy is internationally known as an intuitive educator, workshop facilitator and animal communicator. She has been helping people and their animals since 2002 and has been featured in newspapers, television (here and abroad) and national radio. Her communication skills create a deeper and more respectful understanding between people and their animal companions. Clients from around the world share similar feelings of amazement and gratitude over what she has added to their lives and the bonding between themselves and their animals. She realized early on in her work that her childhood experiences of abuse acted as a catalyst to her ability to communicate with animals and other spirits. This recognition helped her claim these skills as the gift buried within the survivor experience. She became acutely aware that many intuitively gifted and energetically sensitive people had also experienced abusive childhoods. As she embraced her own sensitivity, she developed techniques to manage her energy field to bring more ease and joy to her life.